I’ve been following a LCHF (low carb, high fat) diet for the last 10 weeks now and one thing you need to know about me is I don’t like cooking things that I perceive as being too hard, too complicated and I REALLY don’t like cooking multiple meals. I’ve had to edge a little out of my comfort zone, but generally I like to stick to the safe and familiar – which the exception of my LCHF Cheesecake I made for my birthday, which I must say was well worth pushing myself to try making something new! Especially with a family who have pretty fixed tastes! 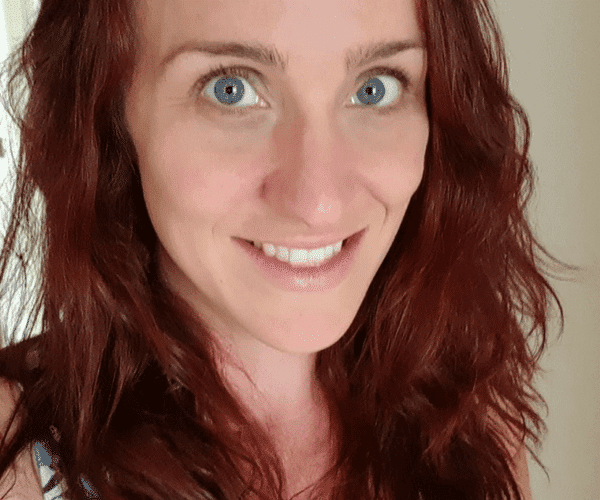 Also, I don’t feel like a low carb diet is appropriate for my children – no judgement if you do, that’s your business, but I have some reservations about suddenly changing my children’s diet. I’ve tried as much as possible to just make slight adaptations to our existing menu. When we have curries – I’ll serve mine on wilted greens, and the family can have rice. When I made a pasta bake for the family, I make an eggplant bake for myself with the same sauce. 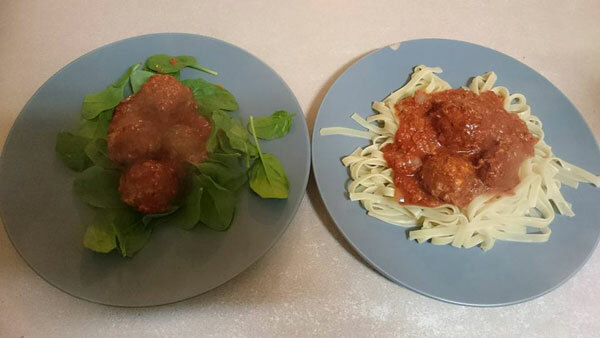 I’ve served meatballs on baby spinach – which worked really well! 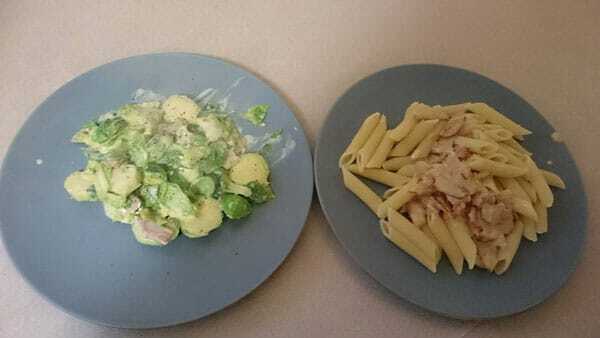 Or I’ll mix up a creamy bacon “pasta” sauce with chopped cabbage, or even brussel sprouts! 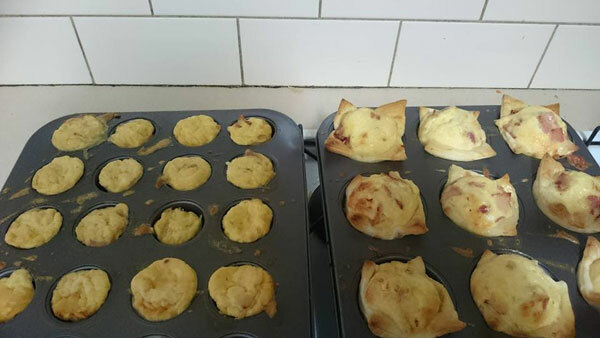 When I make quiches I make them mini in cupcake/muffin trays and don’t have pastry in mine. 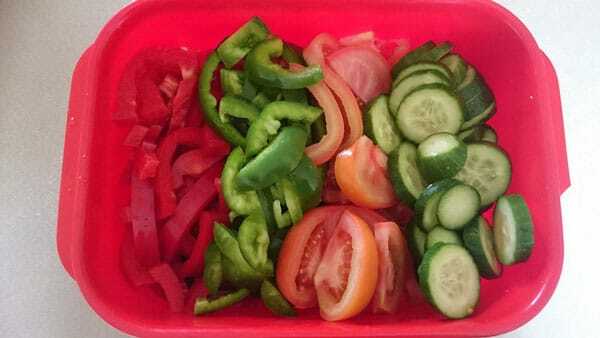 When we have things like sausages, hamburgers, or burritos, I just have mine as a salad and skip the bread or wrap. I also keep a container of pre-chopped green-list salad ingredients on hand for quickly adding to any meal to brighten it up with minimal effort. This container comes out for every meal so the family can also pick what they want to add to their own plate. If we’re having a basic “meat and veg” type meal, I’ll often have to cook myself up some Green list vegetables as my family’s favourites are carrot, corn and peas. I’ve tried to avoid substitute foods – like fathead pizza, or the various types of keto/lchf breads – I’ve only tried one recipe and it was a lot of work for what was ultimately not bread. 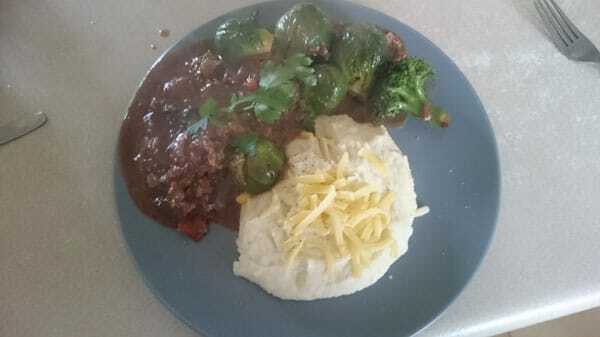 But since starting this way of eating I find I have a preference for foods in their most simple form. My taste has changed so much – it’s ridiculous. Even raw cauliflower tastes good to me now! 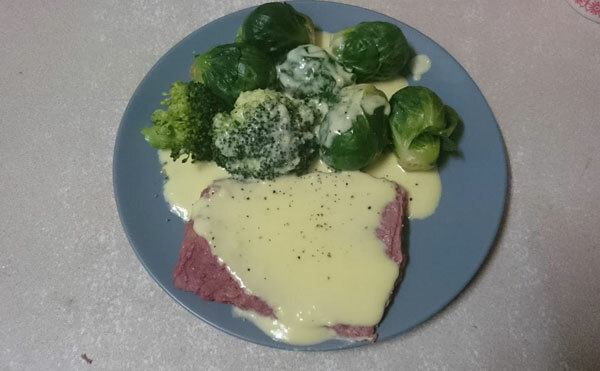 Then only recipe I’ve had to learn as a substitute- but it’s REALLY simple, don’t panic – is for Keto Cheese Sauce (rather than a traditional white sauce with flour). 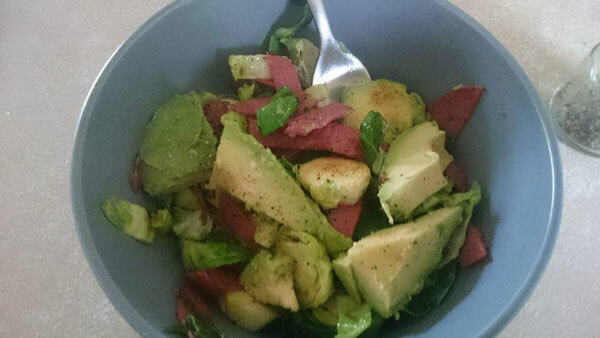 Sometimes I do end up cooking something completely different, so when that happens I try to keep things very simple for myself – for example Brussels sprouts chopped up and fried with some salami and served with avocado is a go-to 5 minute meal of mine. 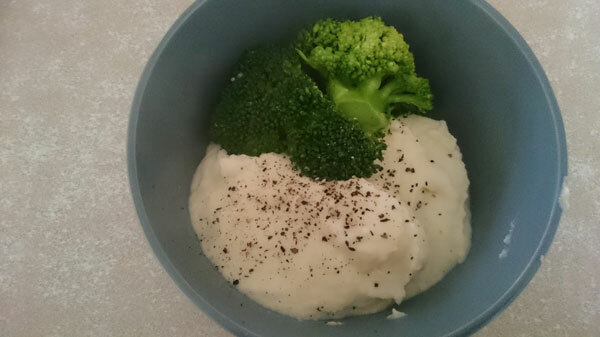 Or even just some cauliflower mash and broccoli – I keep frozen cauliflower at all times for when I need a quick, healthy, filling meal. 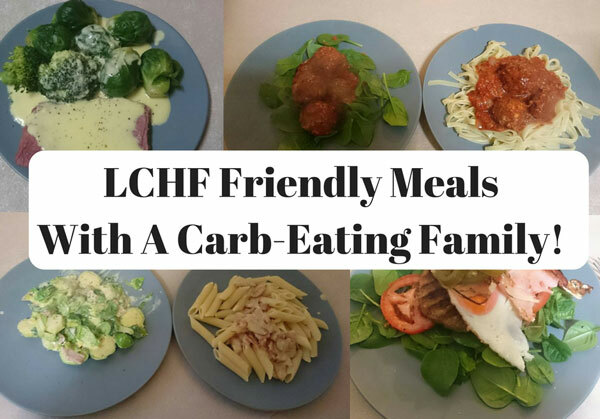 So, I hope that helps give you some ideas about how to adapt your own menu to be a little more LCHF friendly – either just for yourself, or your whole family. 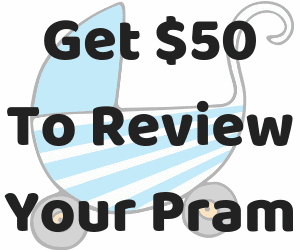 And let me know if you have any easy LCHF meals and recipes – as I am TRYING to experiment with new things.